Iron Smoke Distillery's legendary whiskey is carefully handcrafted and aged to perfection in their small batch distillery in Fairport, NY. They utilize ingredients from American farms and water from the glacier-formed Finger Lakes. The character of Iron Smoke is distinct. It's smooth and has a whisper of sweet apple wood smoke. Looking for something a little different? How about their Rattlesnake Rosie's Apple Pie Whiskey? It's made with Iron Smoke's very own artisan handcrafted corn whiskey and upstate New York apple cider, cinnamon, vanilla and brown sugar. 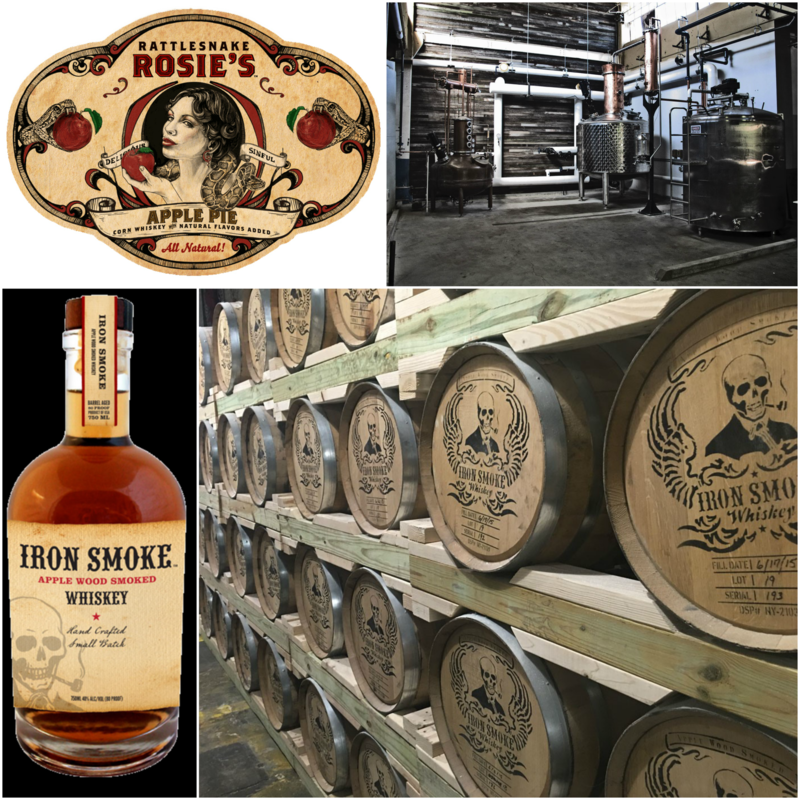 Both Iron Smoke Whiskey and Rattlesnake Rosie's Apple Pie Whiskey are available in Connecticut today!